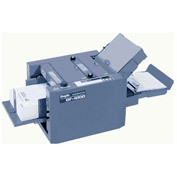 Let GBC South Australia assist you in your purchase of a Paper Folder. Paper folders save you a lot of time and money. These machines are simple to use and easy to operate. Folding paper by hand can be long and tedious, not to mention the painful paper cuts. Increase the number of sheets you fold per hour. Save you time by allowing you to do other things. Reduce physical and mental fatigue. Save you money by increasing output and decreasing man-power. 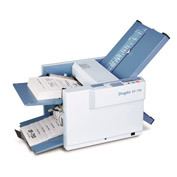 Designed to suit the smaller office, the HF-200 folds up to 140 pages per minute. 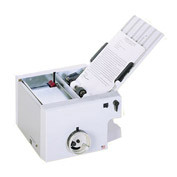 The DF-755 Folder is convenient, easy to use, and designed with the budget conscious in mind. 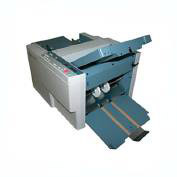 Precision high-speed folding at up to 280 sheets per minute with sizes up to A3 sheets. 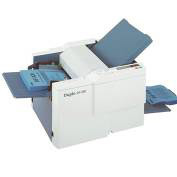 Ideal for the office environment, the fully automatic DF-920 tabletop folder performs high-speed folding. Designed to be the ideal folding solution for the color digital printer. 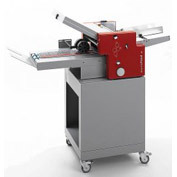 The Eurofold 235 SM is a high speed folder up to 30,000 sheets per hour.